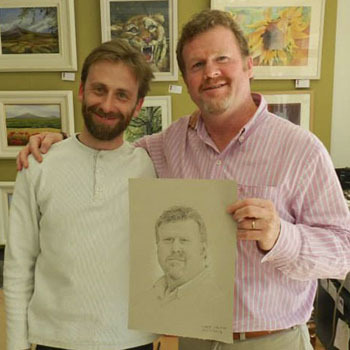 Conor was a finalist in the Dublin heat of the Sky Arts portrait competition. 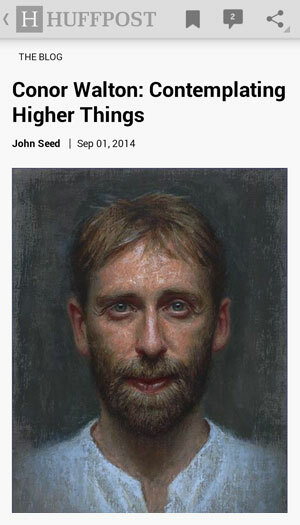 His portrait of Neil Hannon of the Divine Comedy made the final three and was the sitter's choice. 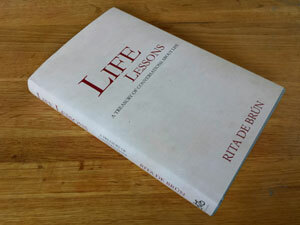 Book launch for 'Life Lessons', a collection of interviews by Rita de Brún with leading figures from Irish cultural life, including Conor Walton, abstract painter Sean Scully, philosopher Richard Kearney, poet Eavan Boland, social justice campaigner Sister Stanislaus Kennedy, politician Mary O'Rourke, and many others. 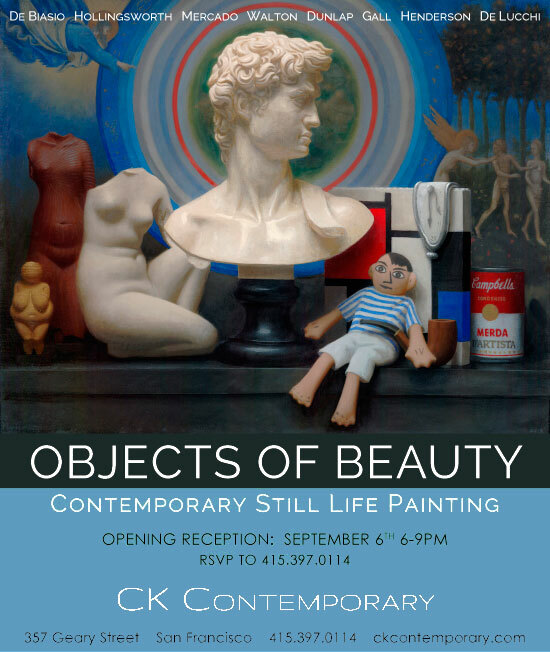 Objects of Beauty, an exhibition of Contemporary still life painting featuring eight of Conor's paintings, opened at CK Contemporary in San Francisco, USA. 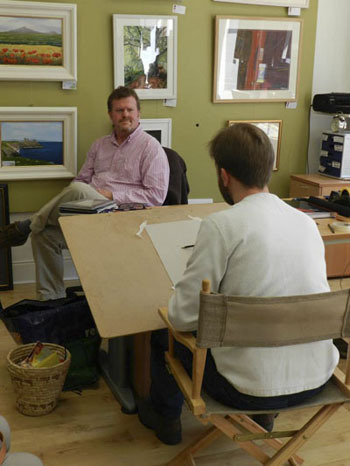 "Conor Walton, one of Ireland's leading representational painters, strives to create paintings that go beyond mere technical competence. One of his stated goals is to endow his works with high, shared ideals so that his images will carry some of the cultural importance that religious art carried in earlier eras. 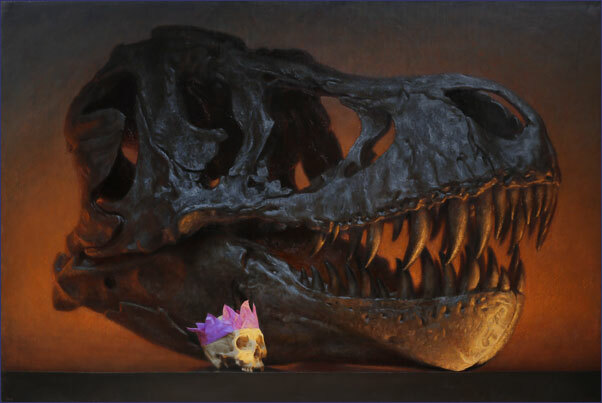 I recently interviewed Walton, who will be exhibiting eight recent still life paintings in San Francisco this month, and asked him about his background, ideas and interests." 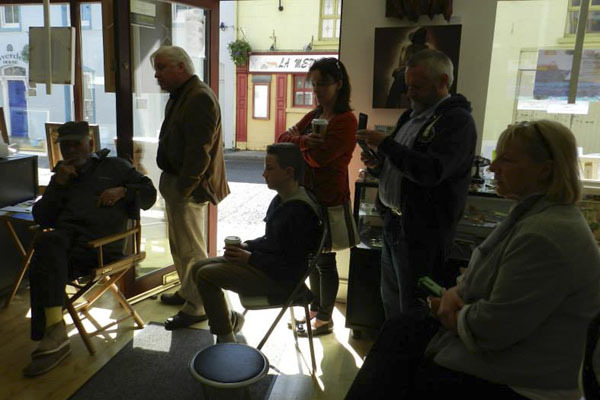 Filming took place for the Dublin heat of the Sky Arts portrait competition, with Conor as one of the contestants. 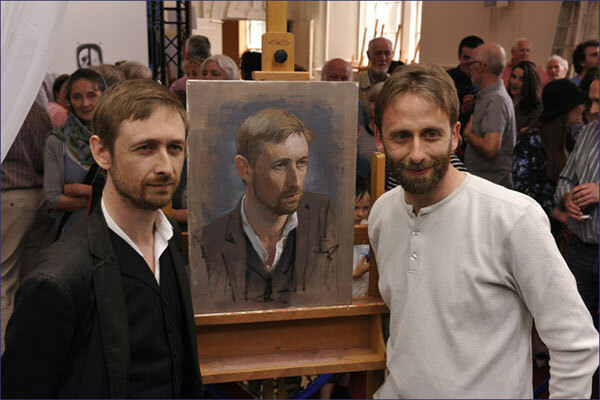 Conor's portrait subject was Neil Hannon of the Divine Comedy. The outcome of the heat cannot be revealed until the proramme is broadcast in the Autumn. 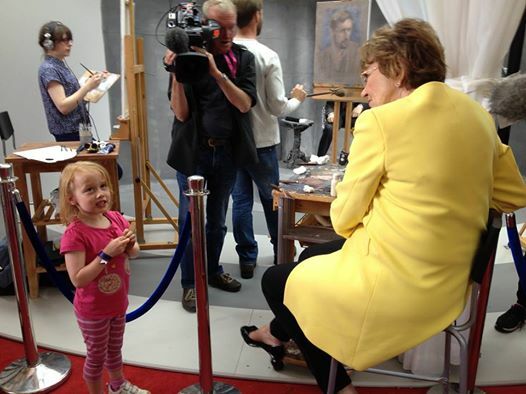 Right: Caoimhe Walton is interviewed by Joan Bakewell while Conor (behind the camera man) paints Neil Hannon. 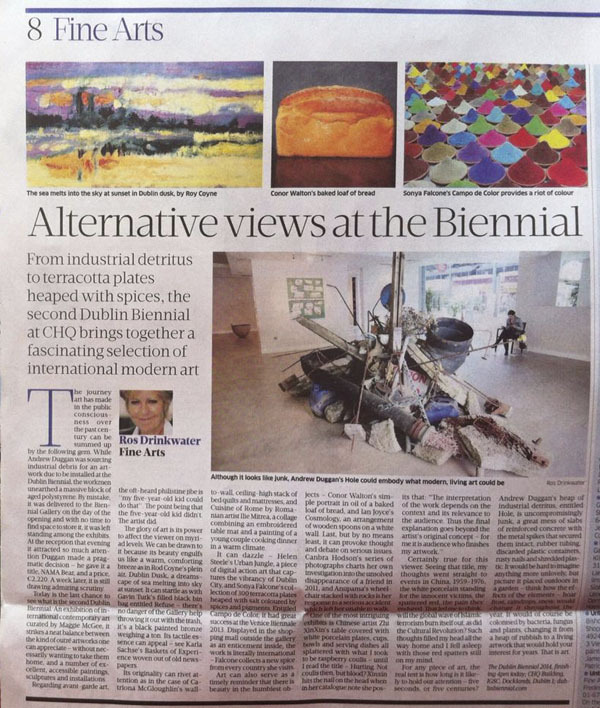 The Dublin Biennial, an exhibition featuring works by 55 artists from twenty countries and featuring three of Conor's paintings, opened at the CHQ building in Dublin's docklands. 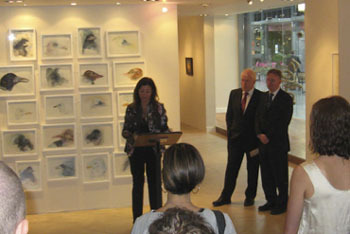 Below: Maggie Maggee, founder of the Dublin Biennial, speaks at the opening of the exhibition, with Jimmy Deenihan TD, Minister for the Arts, Heritage and the Gaeltacht, and Ray Yates, Dublin City Arts Officer. 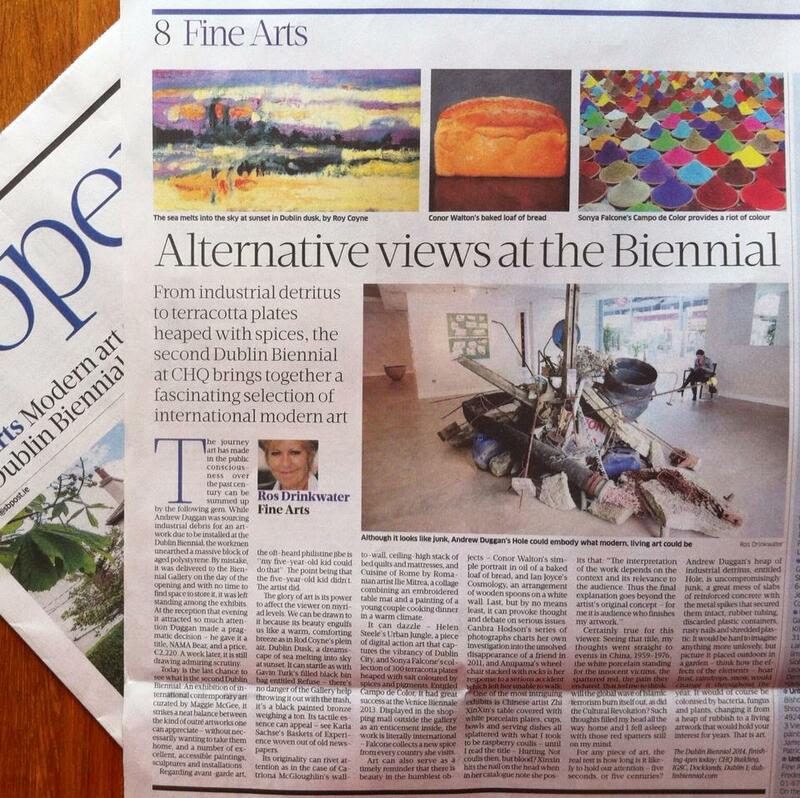 Right: a review of the exhibition by Ros Drinkwater in the Sunday Business Post, 22/6/2014. 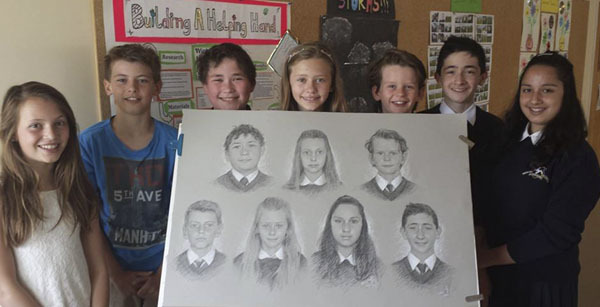 Conor completed a portrait drawing of Wicklow Montessori National School's graduating 6th Class. Thanks to the children for posing. 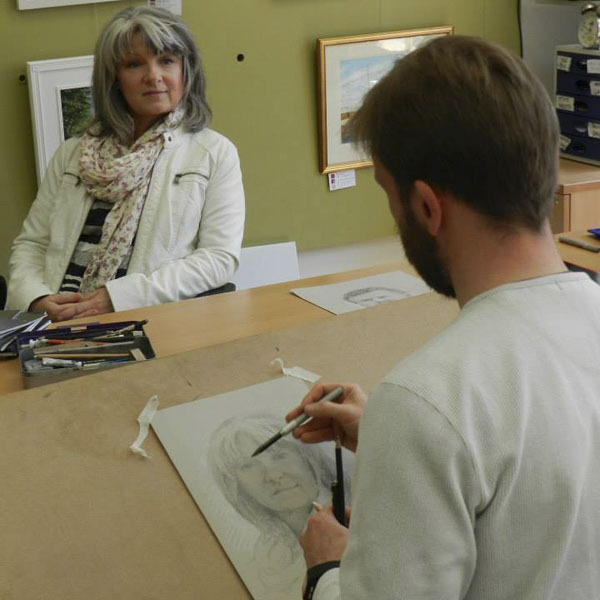 As part of the Wicklow Arts Festival, Conor gave a portrait drawing demonstration in Kilmantin Art Gallery, Wicklow Town, completing two portraits of Robbie Teeling and Trish Ball. Thanks to all who attended this event. "At a public level, at the level of someone ignorant of the back-story, it’s still about access. 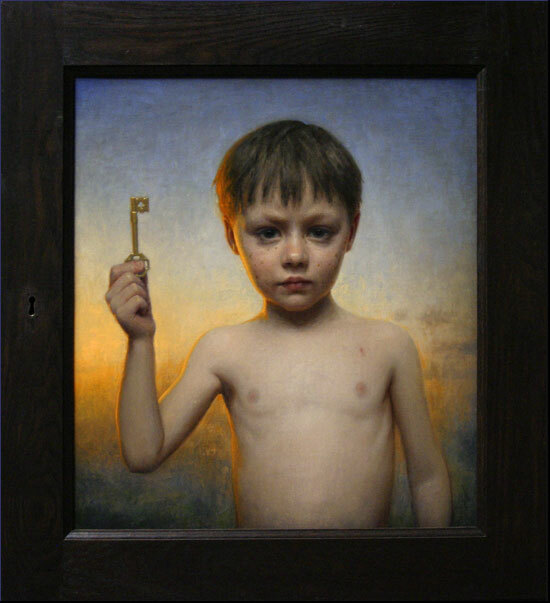 A boy at the threshold of two worlds, with the promise of access, with a key. That’s what I try to offer in all my paintings." Three of Conor's pictures were accepted for the ARC Salon 2014. 'Rex' received an honourable mention in the Still Life category. 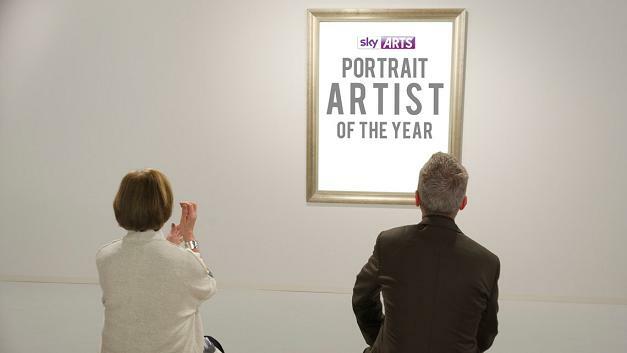 Conor will be participating in the Dublin heat of Sky's 'Portrait Artist of the Year' competion, which will be held on the 15th of June. 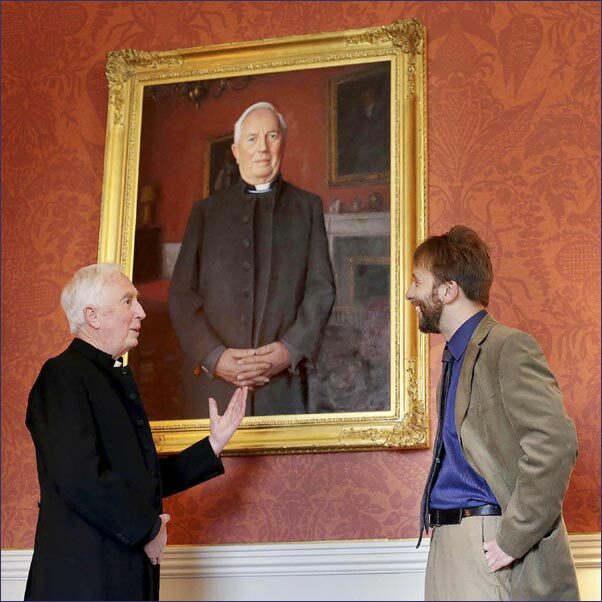 Conor's portrait of the Very Reverend Victor Stacey, Dean of St. Patrick's Cathedral, Dublin, was unveiled in the Drawing Room of the Denary on Wednesday 7th of May. The Cathedral has maintained a tradition of commissioning portraits of the incumbent deans since the 1600’s. The most famous commission is Bindon’s portrait of Jonathan Swift which hangs in the dining room of the Denary. 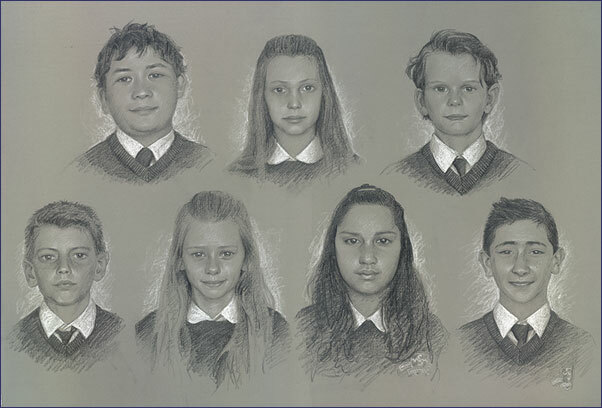 Dean Stacey said: “I am pleased to be part of a tradition of commissioning and retaining portraits at St Patrick’s Cathedral. While the tradition has extended over 400 years, there are prints and engravings associated with deans from earlier times.Apart from acting as a historic document, the portraits highlight the work and skill of exemplary artists from throughout the centuries. 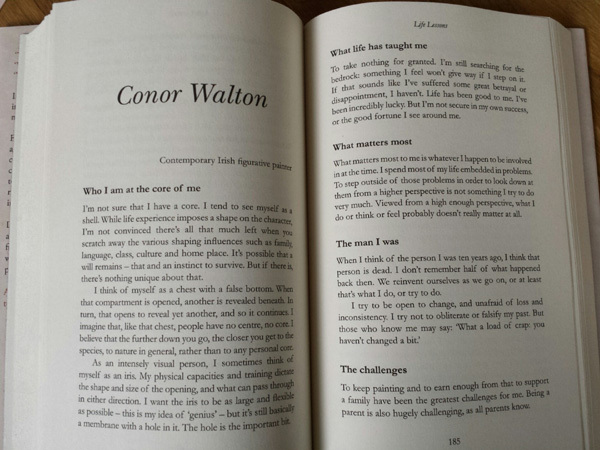 I am very proud to be associated with the work of Conor Walton in this instance." The Art Renewal Centre's annual Salon will feature work by Conor. Prize winners will be announced in early May. Last year's Salon awarded prizes to the value of US$65,000. 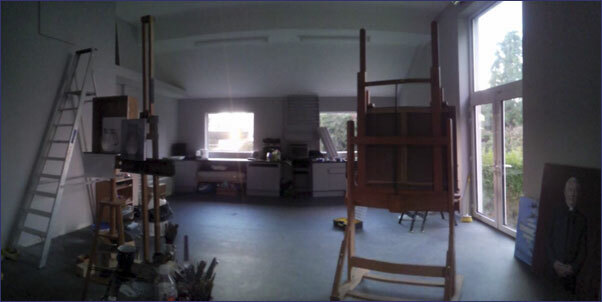 Conor's new studio in Wicklow is up and running.